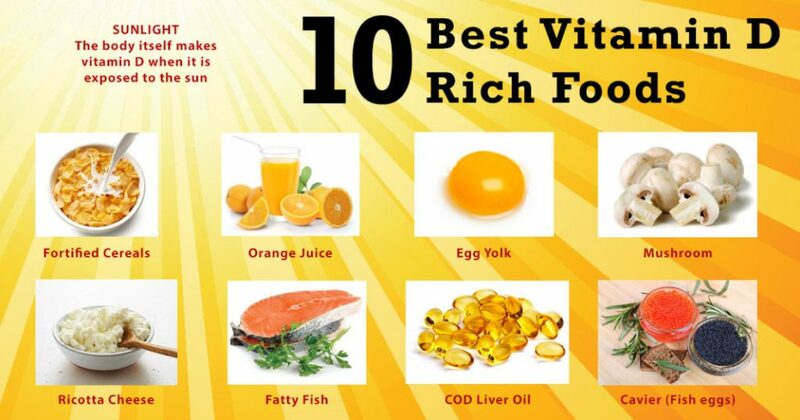 Food For Vitamin D Deficiency– Today’s topic. As the days are passing by, life is getting faster. People have diverted towards getting easy and fast food. Way of cooking has changed. With this lots of deficiencies in human bodies are being created. To add to the deteriorating situation, human bodies natural absorption capacity is also affected. Vitamin D is one such vitamin, which is very much necessary for human body to dissolve fat and maintain immune system. Vitamin D is naturally available from sunlight. It is evident that western countries, who lack in proper sunlight may face a lack in vitamin D. But in country like India, where Sun shines with all his arms also face a lack in Vitamin D. This shows total imbalance in human system. Now that we have discussed on Vitamin D deficiency, let us focus on how to compensate Vitamin D deficiency with food. As discussed earlier, Vitamin D is available in abundance from natural sunlight. If you are deficient in Vitamin D, then the most easy solution is getting an oil massage early in the morning and sitting in Sun up to 8 am. Though it is easy to say then actually practicing in the hectic world today. 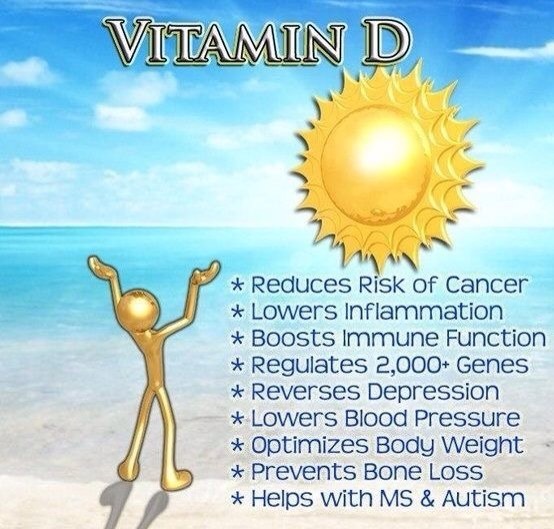 So it would be easy to gain the deficient vitamin D from food. You may also get suggestions for taking Vitamin D or D3 supplements. Let us take a look at food sources for Vitamin D first. Tuna Fish – Tuna fish is high in vitamin D content, which is nearly 23%. Having Tuna Fish in moderation is said to be lowering the risk of atrial fibrillation to 15-30%. Sunlight- Sunlight is a rich source in Vitamin D. Bathing in sunlight also reduces blood pressure, blood cholesterol and lot many skin benefits. Exposing your body and spinal cord for minimum 10 mins in Sunlight is highly recommended in Indian Ayurveda and Naturopath treatments. Milk- No doubt milk is called as wholesome food. Having regular dose of milk leads to good skin and better bone structure. Yes, it is difficult to get good quality milk, but definitely you can give it a try and get it from some trustworthy sources. How come calcium in milk is absorbed easily by body. It is because of presence of vitamin D in the milk. Since ages, in India, milk is considered a high quality food item. It is used as a treatment for many diseases. Orange Juice – Who does not like to have a glass of orange juice? One glass of orange juice provides 137U of vitamin D. This is far more than a glass of milk. It contains good amount of vitamin C and very low content of saturated fat. Eggs – Eggs are favorite of all. As suggested to have only egg white by many experts, but now the ideologies are changing. As per the latest researches, nutrionists are propagandizing to have a complete egg. One egg yolk is equal to 41U of vitamin D. Eggs with cheese and little bit cooked with oil are good for heart health. Eggs are the easiest type of Food For Vitamin D Deficiency. Mushrooms – Some people like mushrooms and some completely avoid them. They are rich source of iron. Mushrooms produce vitamin D when exposed to ultraviolet rays. Dole’s Portobello mushrooms have 400 IUs of vitamin D.
Cod Liver Oil – Fish oil or Cod liver oil is rich in vitamin D and Vitamin A. Cod liver oil is recommended to manage healthy functioning of brain during old age. Some nutritionist suggest to take Cod Liver oil capsules to aide weight loss procedure. Vitamin D is very much necessary for proper functioning of body. If you are vitamin D deficient, then the deficiency may lead to blood clotting, inflammation and depression. Cheese – All cheese have small portion of vitamin D. Ricotta cheese have 5 times more vitamin D compared to any other cheese. Oysters – The sea creature, Oysters are rich source of minerals and vitamins. Oysters have good quality of vitamin B12 and Vitamin D. They have minerals such as iron, manganese, selenium, Zinc and copper. Soy Milk – One cup of Soy milk provides 338 IU of vitamin D.
Today many sections of world are fighting against the obesity. Somewhere, vitamin D deficiency is the reason behind obesity. The people of the countries, who lack in sunlight should make such Food For Vitamin D Deficiency part of their regular diet. This way they can save themselves to supplements and have natural good results on their bodies. Previous articleWhy Do You Need to Travel to India?